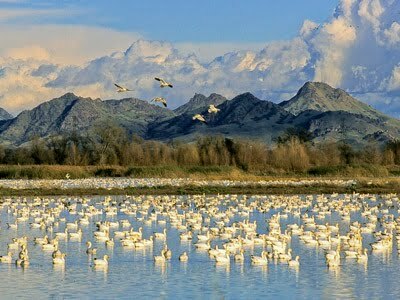 This year marks the 13th Annual Snow Goose Festival, and we have an exciting, action-packed four days to honor this jewel of the Sacramento Valley. Thousands will flock to the Chico area for this celebration of local and migratory waterfowl in the Northern Sacramento Valley. 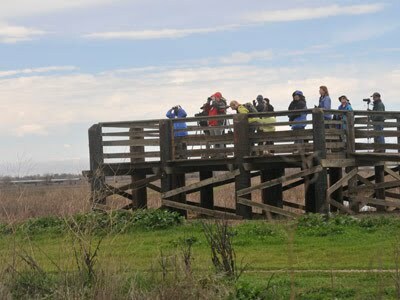 We have planned more than 70 field trips that cover six counties, reaching out into the rice fields, wildlife refuges and river walks where mild winter weather, abundant food and lots of water draw our avian visitors. In addition, there will be workshops and activities for birding and nature enthusiasts of all ages. Greg Miller is joining our festival this year and causing some BIG excitement for everyone! Greg is one of the famed birders featured in the 2004 book, The Big Year, by Mark Obmascik and portrayed by Jack Black in the 2011 movie. Greg will lead several field trips and as Keynote Speaker, will be the highlight of our Gathering of Wings Banquet on Saturday night, January 28. Be sure to see the inspiring Uptown/Downtown Pacific Flyway Art Exhibit at two of our local galleries: Avenue 9 Gallery and Chico Art Center. Although the exhibit is open Jan. 20 through Feb 12, you won’t want to miss our special Welcome Reception on Friday, Jan. 27. This is a special night for Festival attendees to mix and mingle, admire art, meet the artists, and enjoy live music and refreshments. Bring a friend! We have also partnered with The Chico Museum, whose exhibit, “Amazing Grains: The Story of Rice and Beyond,” beautifully tells the story of the relationship between rice farming and migratory waterfowl along the Pacific Flyway. Museum admission will be free to registered Festival attendees with name badge. In addition to numerous bird-watching field trips, you might choose to join an owl radio-tracking team on the local ecological reserve, or try birding by ear, a snowshoe hike in Lassen Park, a BIG day of birding, or hike the scenic Sutter Buttes in search of lofty views and resident wildlife. Our workshops offer something for everyone. You can learn nature photography, sketching in nature, bird carving, how to record nature sounds, designing a garden for wildlife, and much more. Free nature activities are offered for children, as well as armchair adventures for the less hardy. We must not lose sight of the reason for this celebration. Our region is blessed to be within the Pacific Flyway, and millions of migrating waterfowl consider those rice fields and wetlands home during the winter. We encourage you to see this annual phenomenon firsthand. To find out more about the Snow Goose Festival, go to www.snowgoosefestival.org. Jennifer Patten is Event Coordinator for the Snow Goose Festival.